Having validated and standardized addresses within your CRM will improve business efficiency, cut down on bogus leads, and help reduce waste. 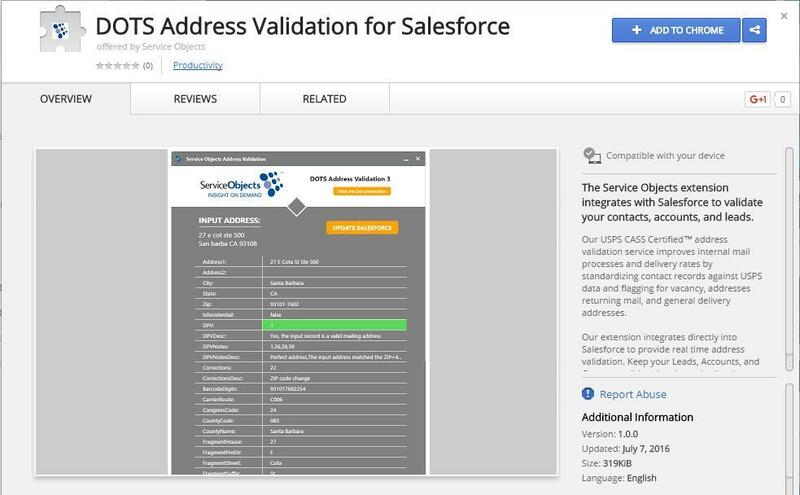 Let our new DOTS Address Validation Chrome Extension for Salesforce do all of the validating and standardizing for you. Our USPS CASS Certified™ DOTS Address Validation service improves internal mail processes and delivery rates by standardizing contact records against USPS data and flagging for vacancy, addresses returning mail, and general delivery addresses. Our industry-leading GetBestMatches operation, now combines Delivery Point Validation (DPV), SuiteLink and Residential Delivery Indicator (RDI) into one robust API call to our USPS CASS Certified™ database engine. 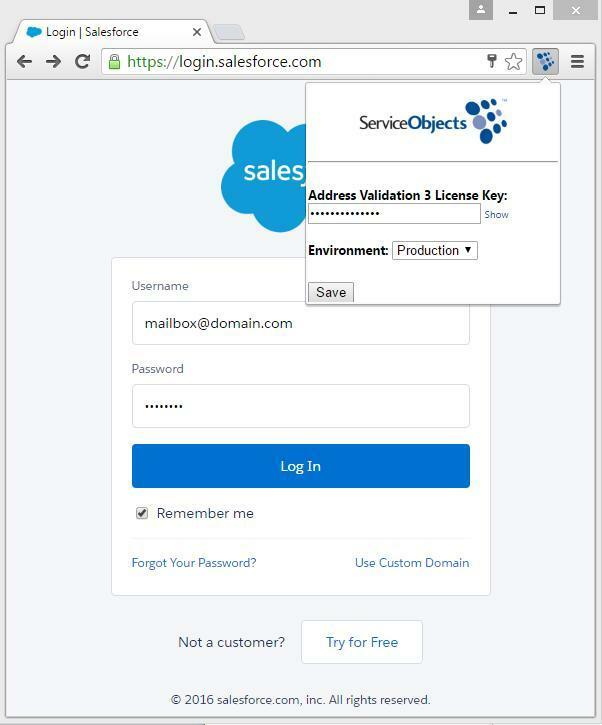 Addresses are pulled from the Salesforce Leads, Accounts, or Contacts tabs and then validated through the DOTS Address Validation – US 3 service. Once the address is validated, a window will pop up showing the service’s results. 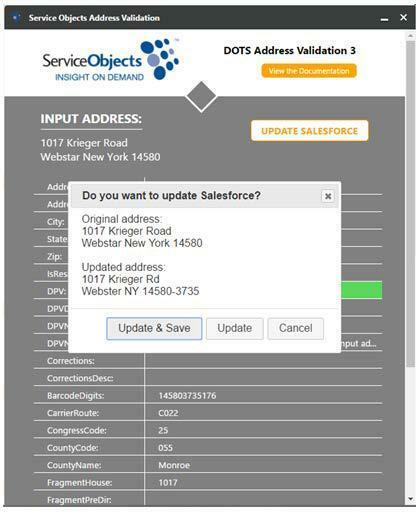 If the address was standardized and corrected to a perfectly deliverable address (DPV1) an option is given to the client to automatically update the address in their Salesforce instance. 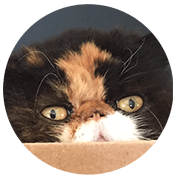 Please refer to our website for a detailed breakdown on installation, configuration, and usage for the Chrome extension for Salesforce.